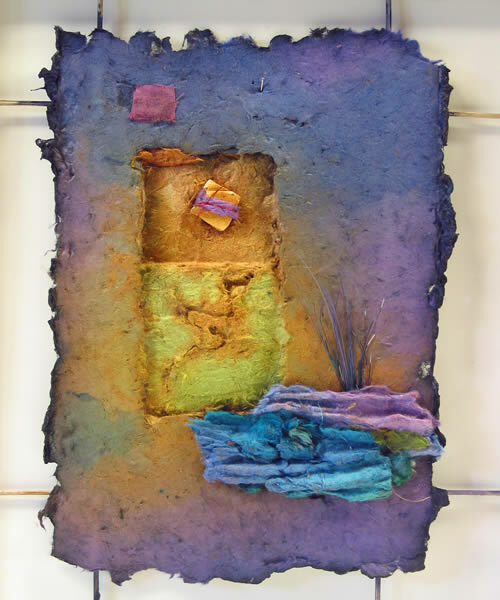 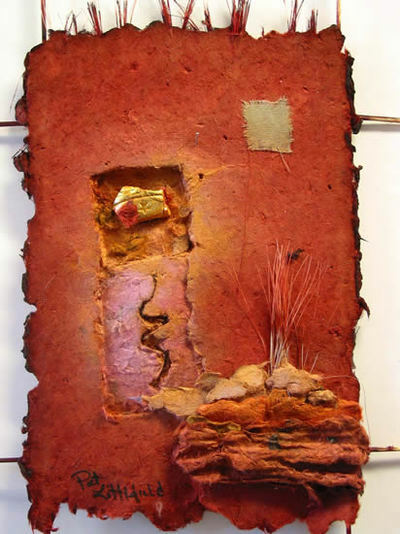 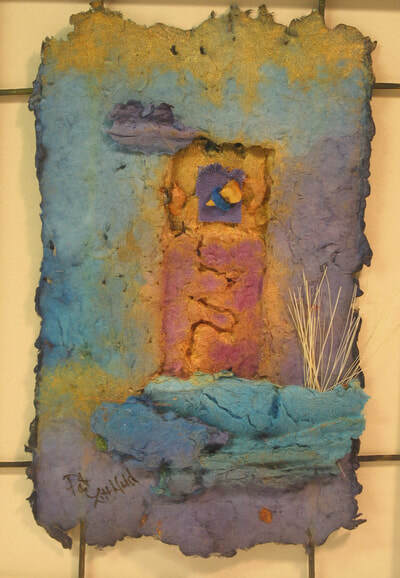 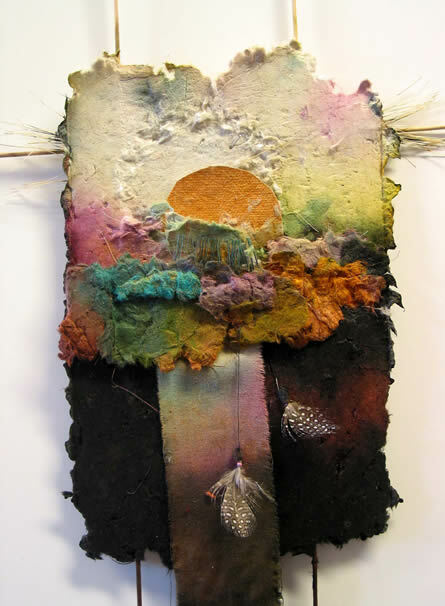 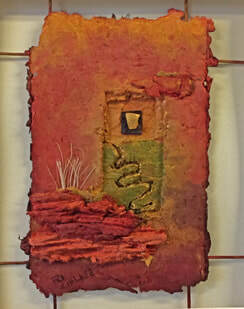 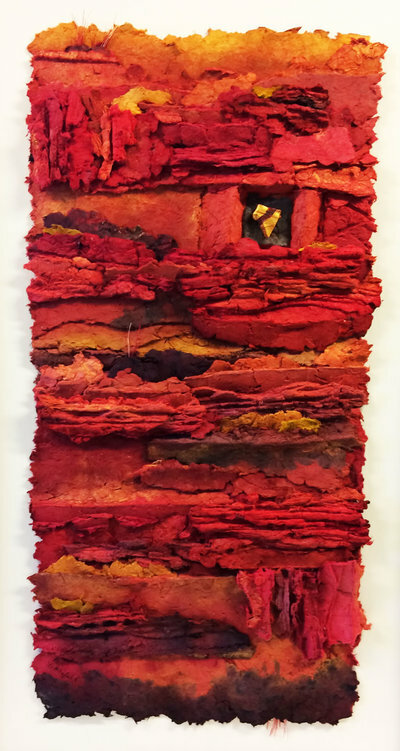 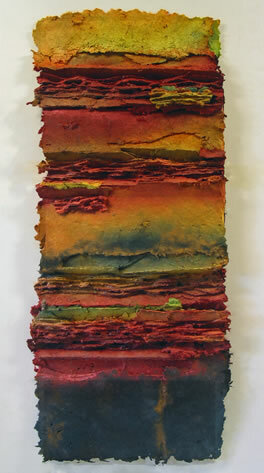 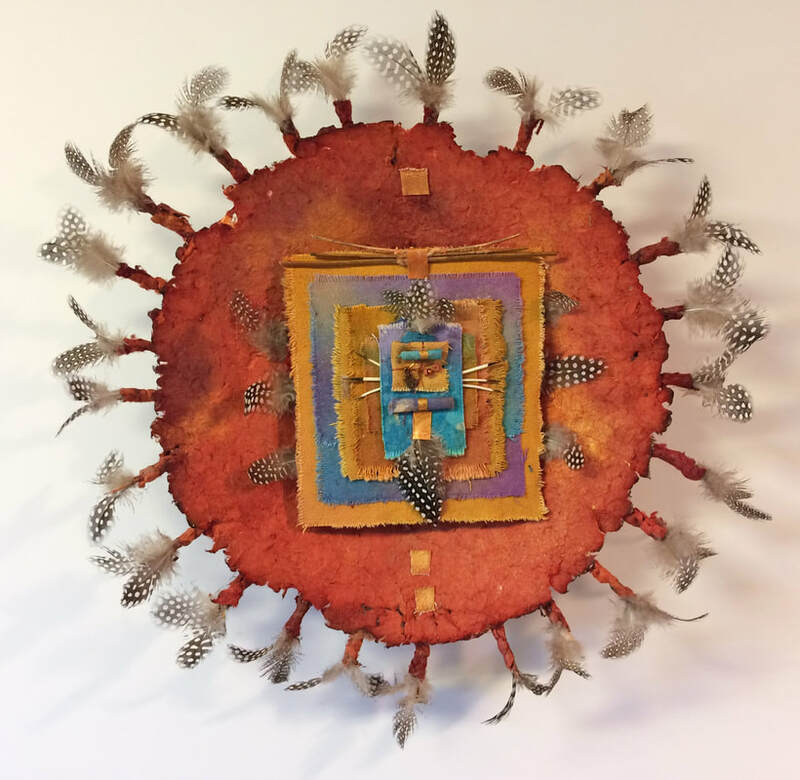 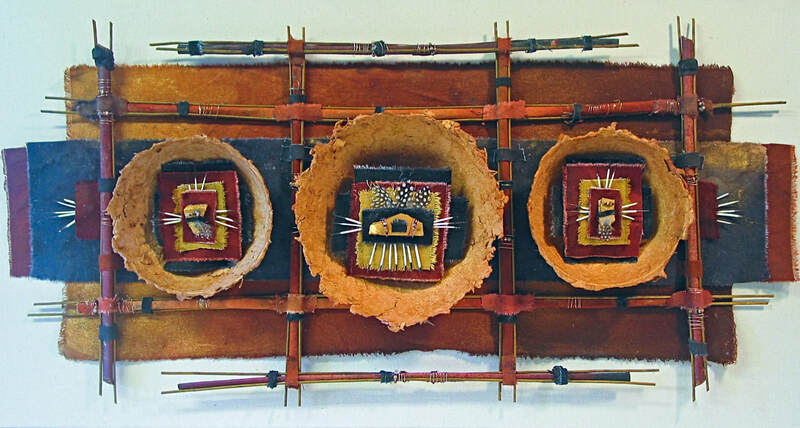 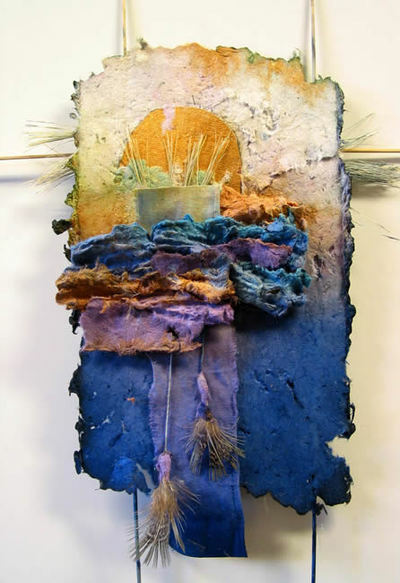 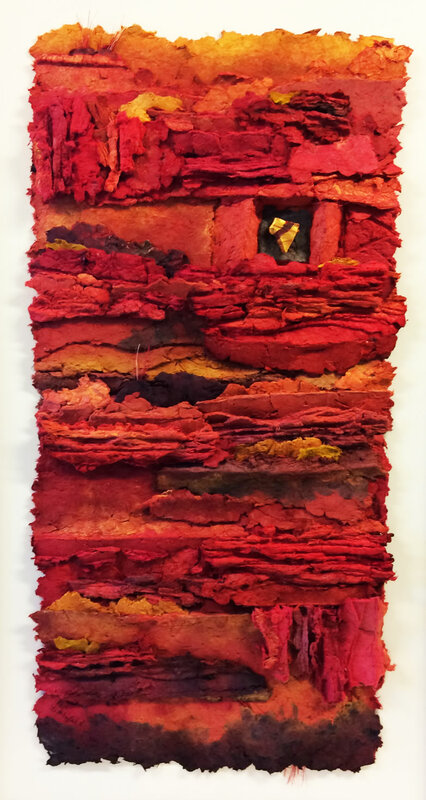 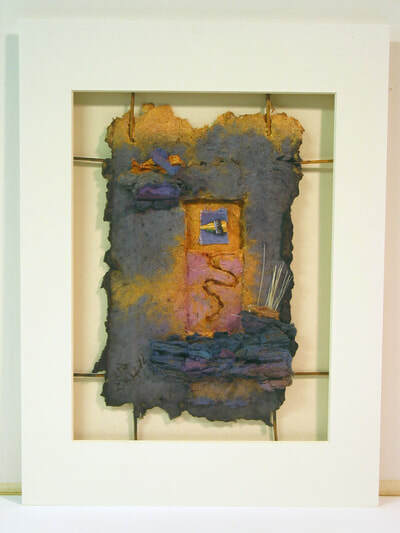 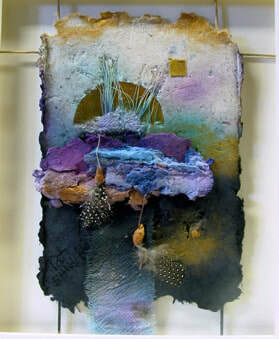 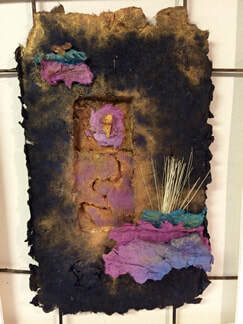 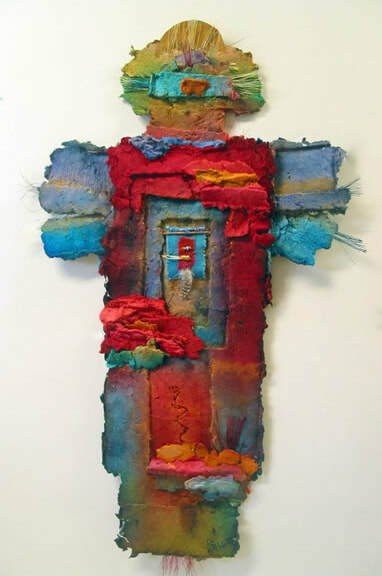 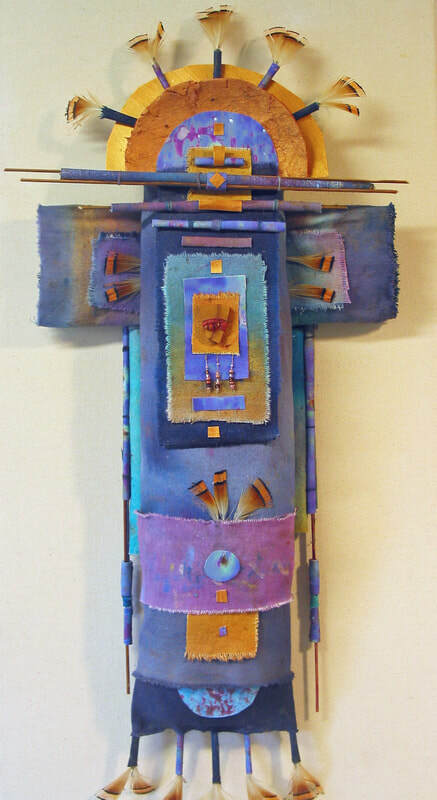 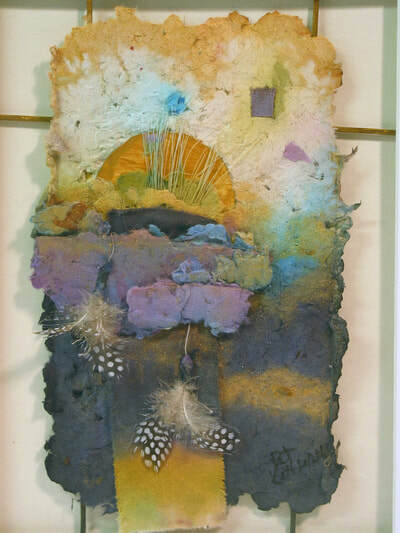 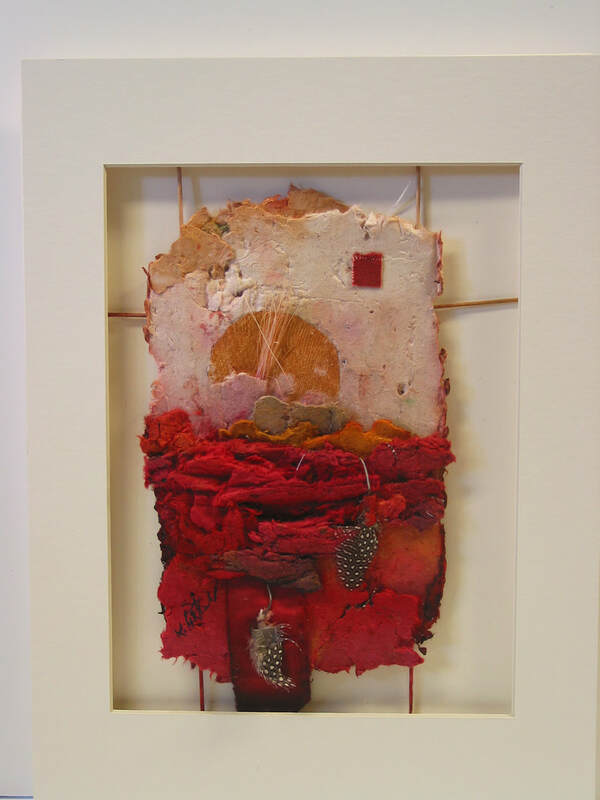 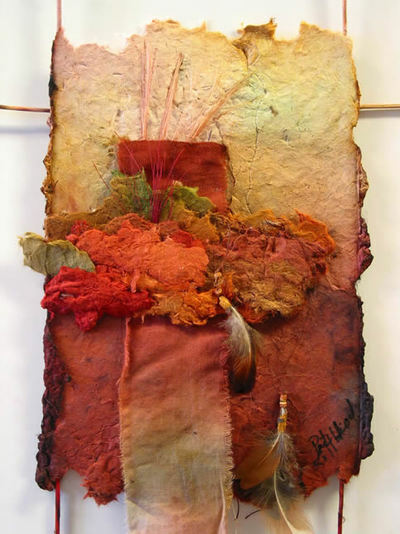 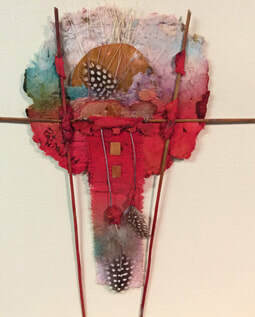 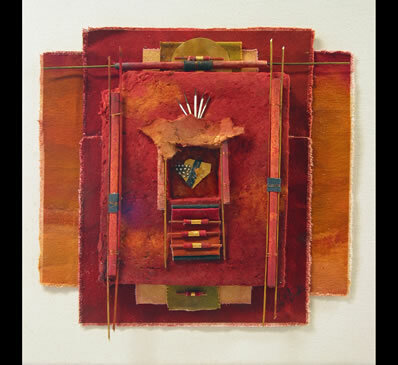 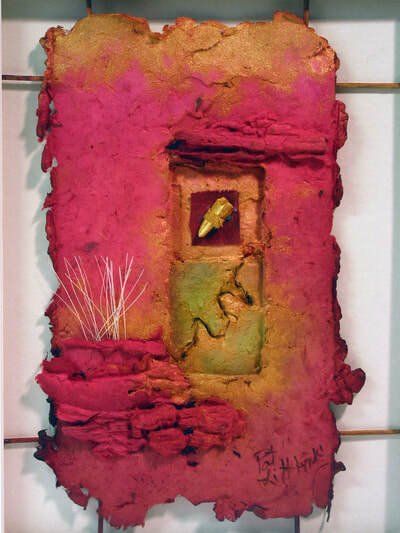 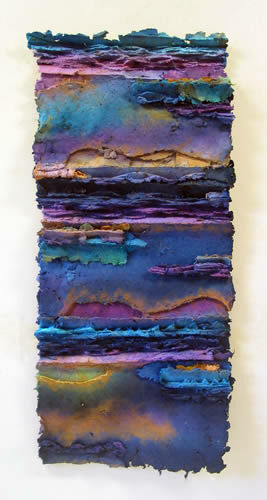 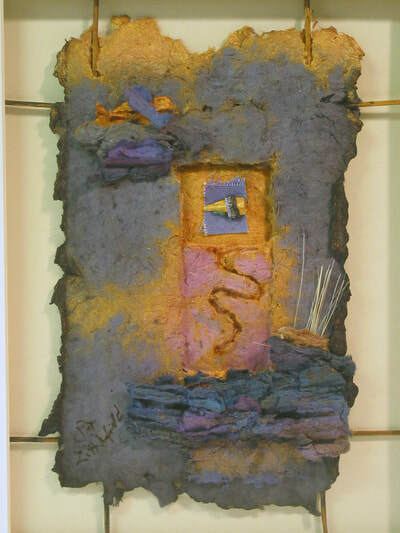 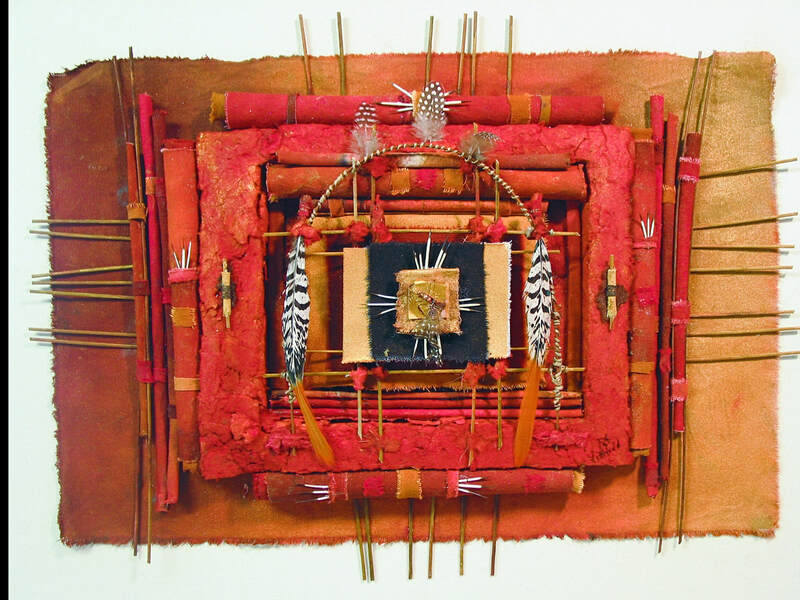 These artworks are created with handmade paper made by the artist combined with her hand dyed and painted canvas. 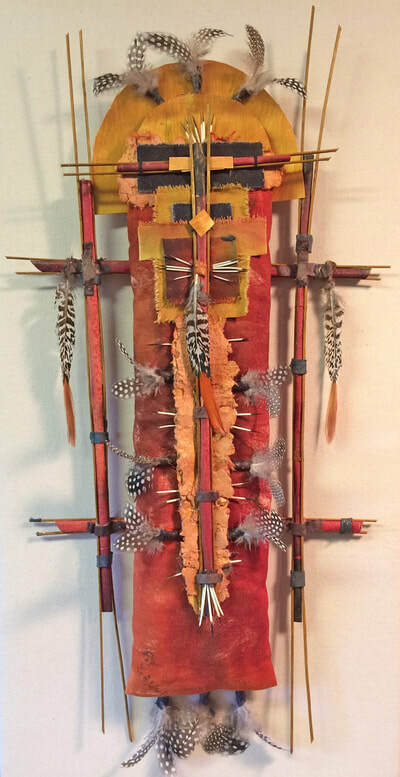 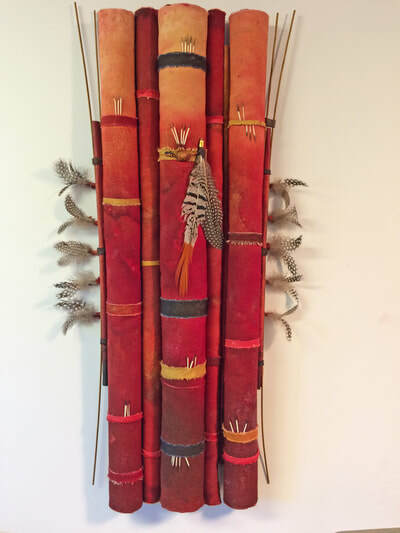 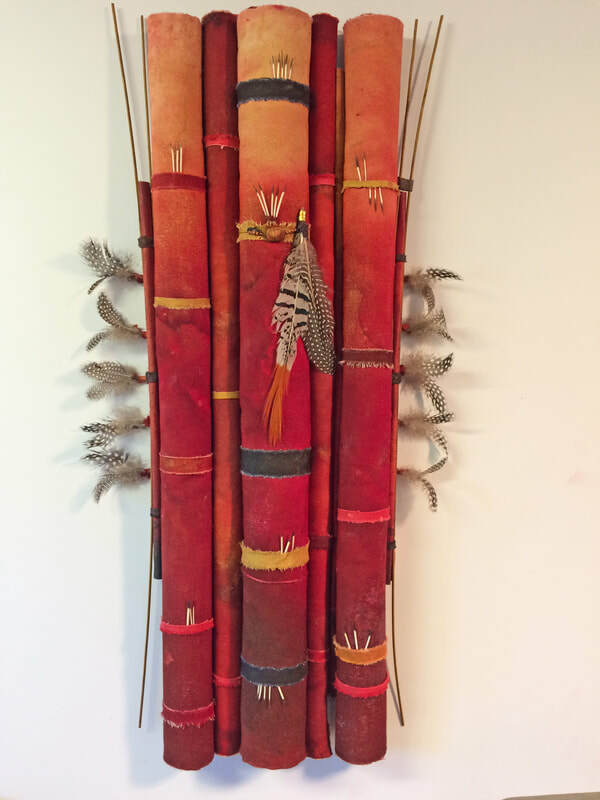 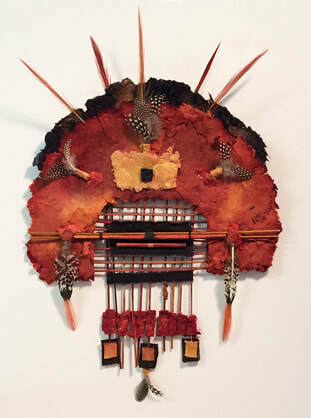 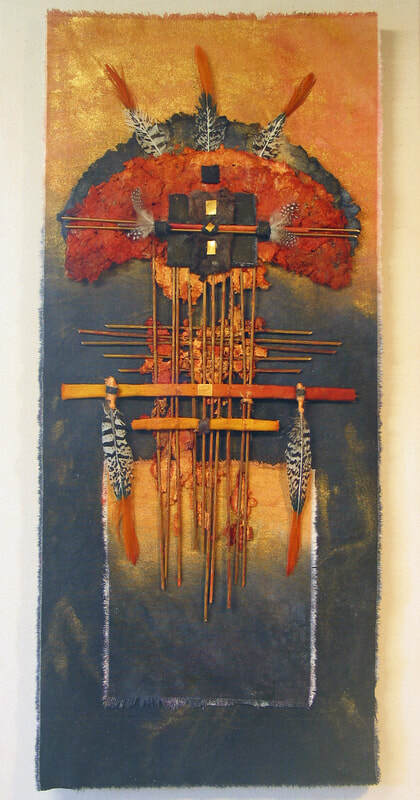 A number of different other items are added such as feathers, bamboo and quills. 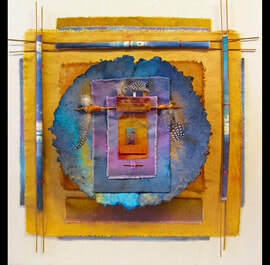 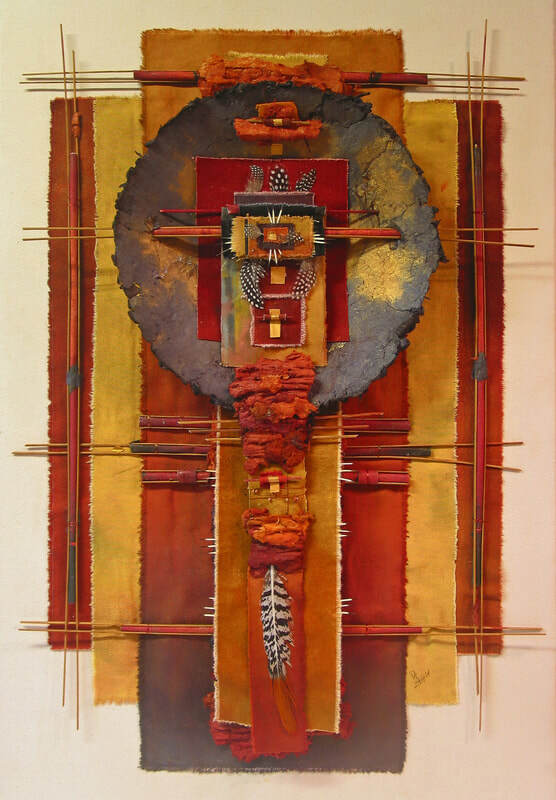 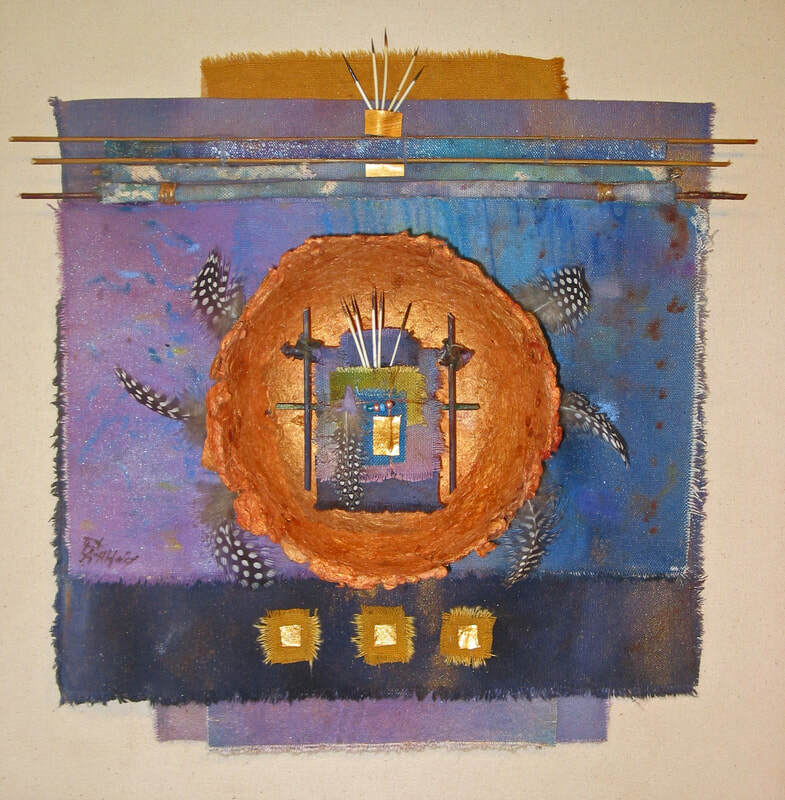 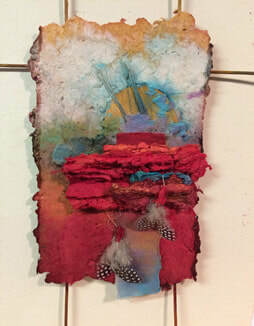 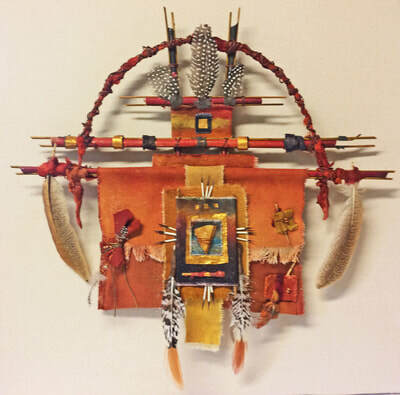 ​Unframed pieces are mounted on mat board and backed by a piece of foam board. All of the framed pieces indicated are framed in acrylic boxes.